Here at Outsider, we’re already looking forward to the new year. Why? With a new year comes a whole cavalcade of incredible, thrilling, adventure races in Ireland. From the valleys of Donegal to the fjords of Killary, there are so many chances to get out in Ireland’s gorgeous landscape and push your limits as an athlete! Here are 10 of the best adventure races in Ireland coming to you in 2019. Explore the Beara Peninsula during Quest Kenmare — a one-day multi-sport adventure race that has you running through gorgeous mountains, cycling along stunning coastline, and kayaking across Kenmare Bay. 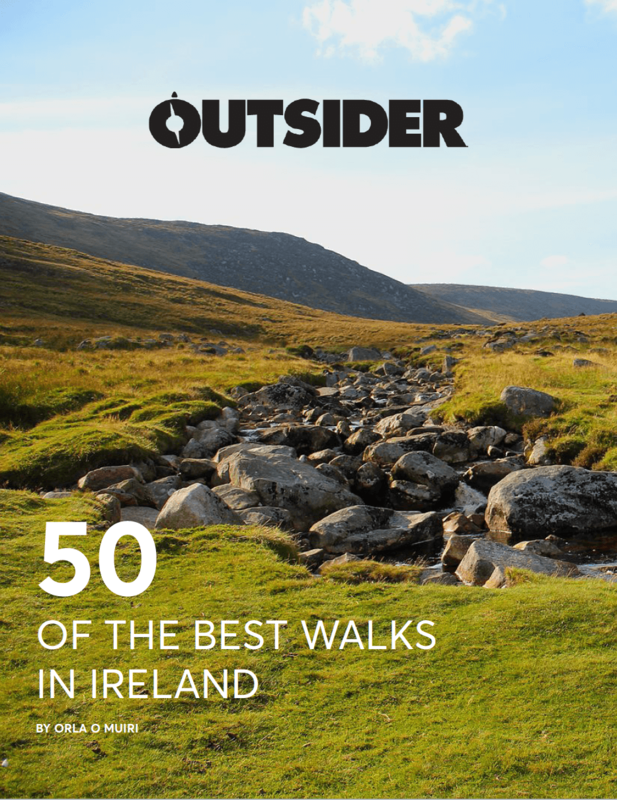 Quest Kenmare offers a 28km Challenge Route, a 50km Sport loop, and a 67km Expert route, all bringing you to exquisite places such as Gleninchiquinn, The Beara Peninsula, Caha Pass and Kenmare town. And, after you’ve crossed that finish line, stick around for a thriving after-party at the Atlantic Bar! Find out more at Quest Kenmare. This intense, thrilling, 8-hour, multi-sport adventure race will have you teaming up with your friends and family to mountain bike, SUP, hike, and navigate your way around Barrow Valley and Blackstairs Mountains. This race will push you past your limits while having great craic along the way. You will also have the gorgeous distraction of the stunning peaks of the mountains and the gorgeous fields, hills, and rivers in the Barrow Valley. This multi-sport adventure race gives you a chance to break out of the city limits and explore the beautiful countryside of south Co Dublin! 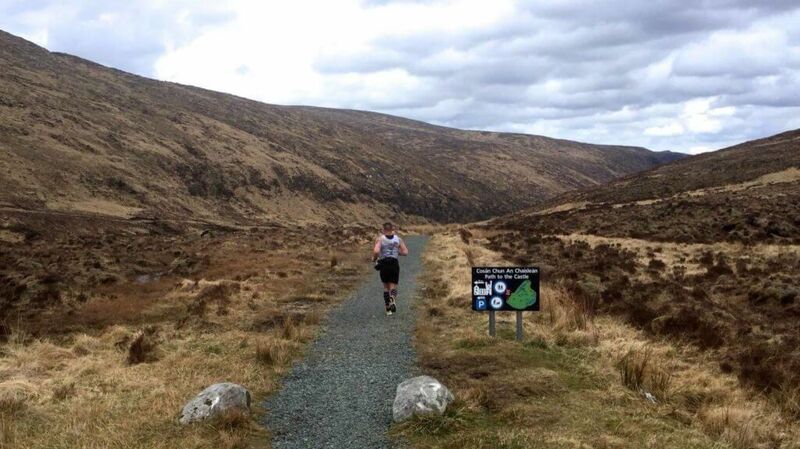 Gaelforce Dublin offers two distances to choose from, a 49km course or a 29km course. Both are packed with trail/mountain running, cycling, and kayaking, taking you away from the dense city centre into some of Ireland’s most breathtaking sceneries. Find out more at Gaelforce Dublin. If pushing your mind and body to its absolute limits sounds like a blast to you, then this is “The Race” to sign up for. 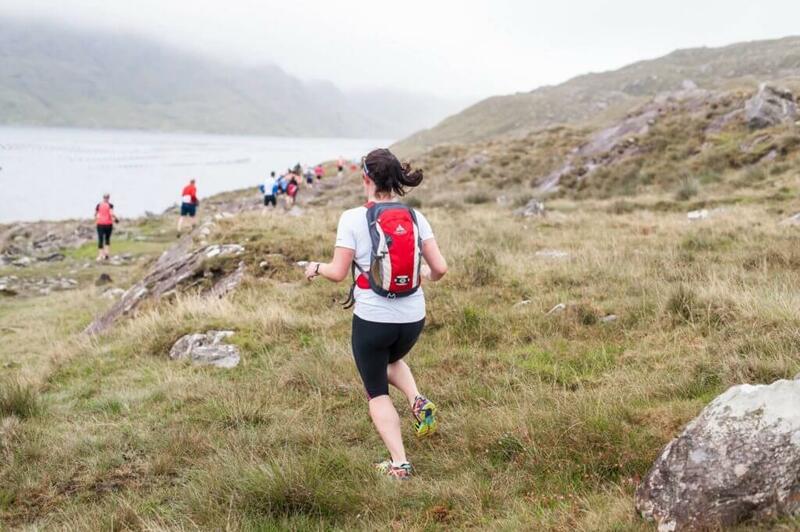 The Race is a 250km unsupported endurance event in which participants traverse the rugged landscape of northwest Donegal, a location chosen specifically for its challenging aspects. This event comprises a 15km kayak, 166km cycle, 5km mountain run, and 64km of road and trail running. Want a little bit more of a challenge? Don’t worry — The Race is purposefully held in early March to increase the possibility of tougher weather conditions, such as heavy rain and snow. Find out more at The Race. 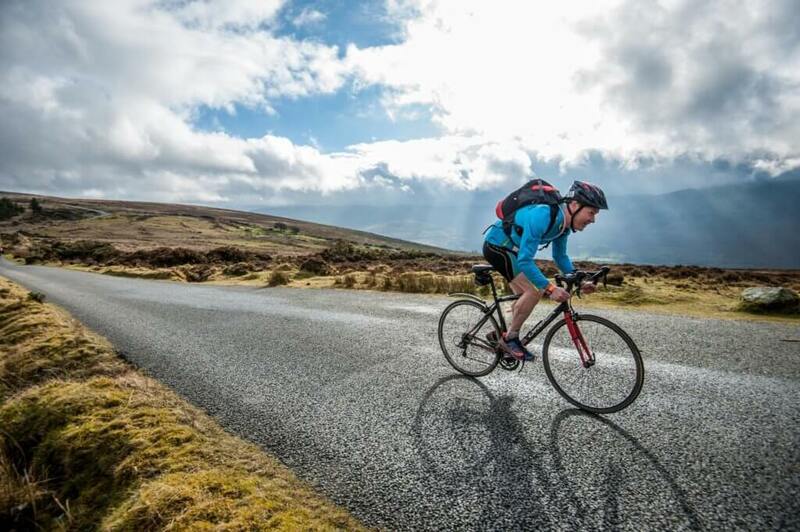 Run, bike, and kayak through the Wicklow Mountains National Park and Glendalough Valley during this one-day multi-sport adventure race in the spectacular mountains, valleys, and lakes of Wicklow. Choose from 19km, 41km, or 57km routes and see the Upper Lake and the gorgeous landscape of Glendalough in a whole new light. Find out more at Quest Glendalough. Looking for a bit of a faster race to test your speed and quick wit? 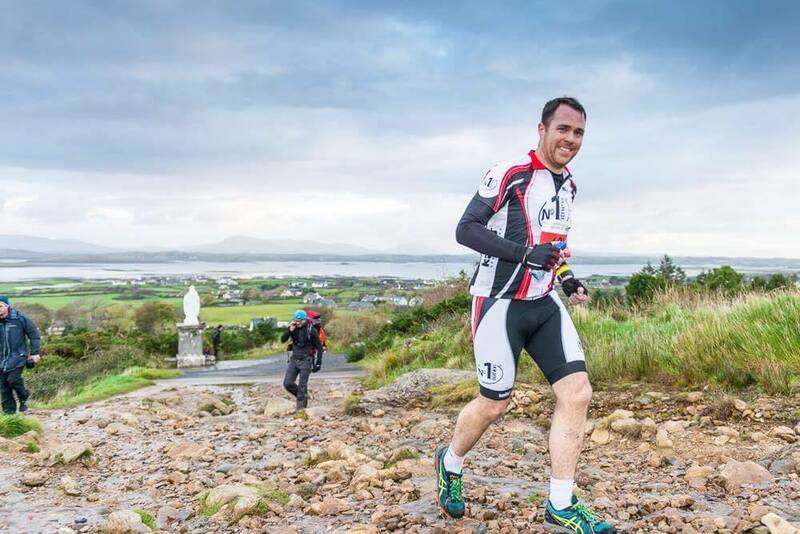 The Gaelforce Connemara Challenge is a 32.5km sprint distance adventure race where competitors will run, bike, and kayak along the steep valleys, serene forests, rolling hills, and sparkling lakes of Connemara. 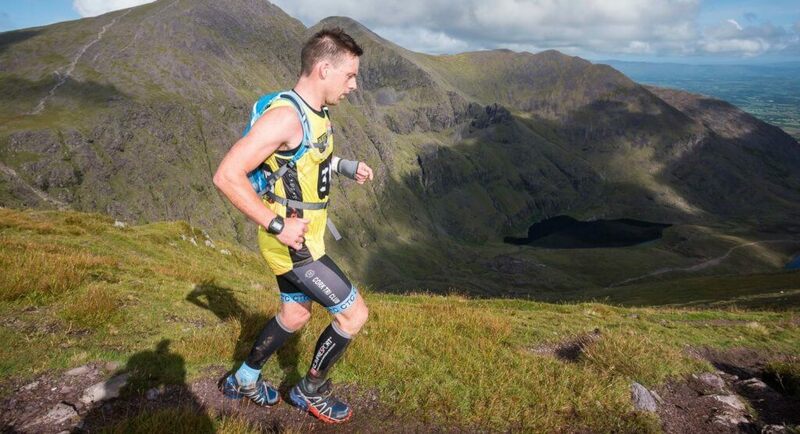 The Killary Fjord provides an amazing backdrop to this race, which is broken up into four stages: a 10km run/walk, 2km mountain climb, 17km cycle and 3km run/kayak/run. Find out more at Connemara Adventure Challenge. This 300km+ event will see you traverse the country from west to east by kayak, bike, hike, and run. The route begins on the iconic Wild Atlantic Way and will have you racing through rural landscapes, quaint villages, and even the Mourne Mountains. Participants can travel non-stop or opt for a break overnight. The non-stop competitors will travel across Ireland in daylight as well as darkness along the stunning trails, roads, rivers, and backroads of Ireland. For those who wish to take a break overnight, day one will have you racing 148km, while day two will see you racing 157km. For more information, visit 26Extreme. Gaelforce West is a 66km linear course that takes off from a beautiful beach on Connemara and ends in Westport town, Co Mayo. 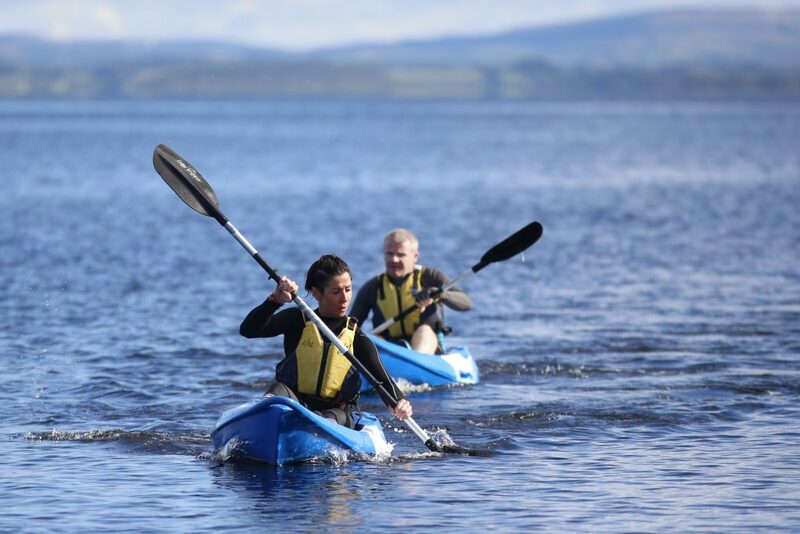 Run along the beach and then hop into your kayak to paddle across Killary Harbour. Cycle through country roads until you see the striking view of Croagh Patrick come into sight. Travelling around Killary Fjord and hiking Croagh Patrick are all included in this awesome adventure race, so do not hesitate to sign up this year. Find out more at Gaelforce West. Quest 12/24 is a one-day, individual, unsupported race that traverses Ireland’s highest mountains and toughest cycle routes along the Wild Atlantic Way — all in the name of adventure. For those who wish to test their physical and mental strength, this is the race for you. The 12-hour option is a 146km route that involves running, cycling, and kayaking over mountains, rivers, and lakes. If you’re up for an even greater challenge, the 24-hour option brings you along the same rugged land, but spans 253km. Find out more at Quest 12/24. Better known as FEAR, this adventure race takes you through some of Fermanagh’s most dramatic areas as you trail run, cycle and kayak to the finish line. 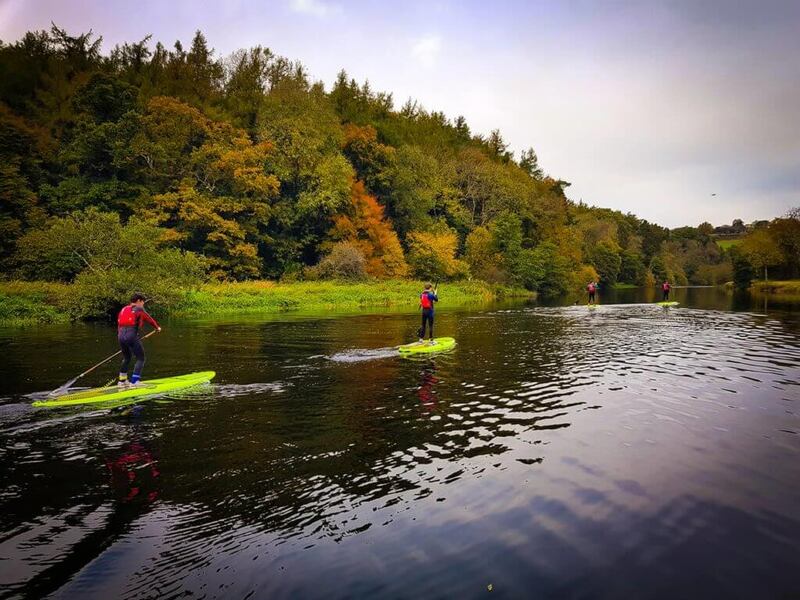 There are two distances to choose from (35km or 74km) and routes include a challenging 2km paddle along Lough Erne’s rocky shores and a 304m near- vertical climb to the top of the Magho Cliffs. If that doesn’t take your breath away, the stunning scenery certainly will! The races are organised by Fermanagh District Council. For more information, visit Fearmanagh. Check out our Hard as Nails podcast!